When you have experienced an automobile accident, we are sure that a lot is going through your head. One of the things you have to consider is who you will call if your car is no longer operational. Get in touch with a company that offers accident recovery Fayetteville NC locals always depend on. You can always contact the reputable and reliable services of Fayetteville Towing Company. We have different size flat bed tow trucks to assist you with your towing needs. When there is an accident, the towing of your car is very technical. You will likely need to make a claim to your insurance company and nothing can impede the process. The insurance company will ask specific questions and photos are sometimes taken at the scene of the accident. This is why it is very important that you choose the right towing company who will take this into consideration because it could determine your case. Our drivers have experience in this area and they follow the necessary guidelines to ensure you receive a favorable conclusion. 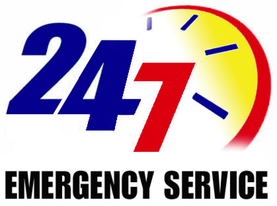 If you need 24 hour towing in Fayetteville NC then be sure to contact our professional crew today. In addition to being able to correctly remove your vehicle from the scene of the accident, you’re sure to receive service from an empathic driver, who shows up quickly to assist in any capacity necessary. If you’ve never experienced an accident in your vehicle before, you may not understand just how fast things occur and why it is a good idea to know a good and responsive tow truck service. Those of you who do should know who will act the fastest and offer the most reasonable rate for accident towing. In Fayetteville, NC this happens to be our Fayetteville local tow company. It is unfortunate that in situations such as this, many people will try to take advantage of your situation. They know that your guard is down and that all you want to do is make the problem disappear. We never take advantage of a person’s current situation. Our job is to make sure that we can help you out of the situation that you are in not adding to it by charging you some ridiculous amount of money to tow your vehicle. It’s bad enough that you have to have your car towed away, the last thing you want to have to worry about is whether or not the towing company will send a decent enough tow truck to safely tow your vehicle. Well, you can rest assured that you won’t have to if you rely on our service for towing Fayetteville NC residents have trusted for years. We have a systematic and regular maintenance schedule for all of our tow trucks. If a problem is ever detected, the truck is immediately removed and the problem is addressed. Our tow trucks are the life of our business and we don’t take chances by keeping them on the road when they need servicing. Our tow trucks are always in the best condition possible and ready to go at a minutes notice. Our crew will even provide local towing for unauthorized parking in Fayetteville if you require it. Experiencing one of our tow trucks breaking down should be the least of your concerns. NOTE: We are a private towing company and do not impound cars. We are NOT associated with the city of Fayetteville Towing Division.